There’s a bloodbath taking place in the cryptocurrency world, and we hate to be the ones who say, “we told you so,” but … we told you so. Mike Adams, the Health Ranger, has been warning for over a year now that the crypto rush is a short-lived phenomenon driven by greed and a “get rich quick” mentality – and man, was he right! The latest reports show that the top five cryptos are all plunging to dramatic lows after hitting record highs towards the end of 2017. 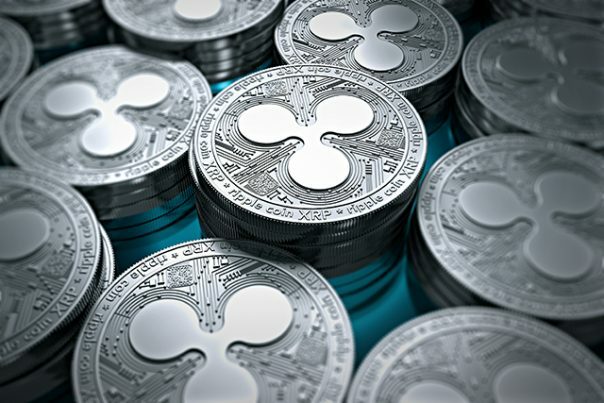 “Ripple,” the number three cryptocurrency, has plummeted an astounding 89 percent from its all-time high, while “Ethereum,” another popular crypto, is down 76 percent. Take a look at these charts published by Zero Hedge, revealing how each of the top crypto coins experienced similar rises to the top around Christmas time, only to have most of those increases almost completely wiped out in recent weeks. Is cryptocurrency really here to stay as some claim? Things have gotten so bad that it’s no longer even cost effective to mine some of the more popular cryptos. The “rigs” designed to “mine” Ethereum, for instance, use more electricity than they’re able to generate back in Ethereum coins – meaning the platform is all but obsolete. “The profitability for Ethereum mining is drying up, but don’t expect to see graphics cards drop in price any time soon,” says Tom’s Hardware, as quoted by Zero Hedge. Adams has a lesser view, however, as he’s been warning for quite some time now about the so-called Bitcoin “bubble,” and how a whole lot of people are going to lose big time as they fail to recognize the “scam” elements associated with the crypto’s epic valuation peak of nearly $20,000. He likens the Bitcoin craze to the infamous “tulip bulb mania,” warning that the exact same scenario is playing out today as it did in Holland, except that it’s all taking place online with fictitious “money” that has no inherent value, and is backed by nothing other than false hope. “When speculators believe they’re ‘investors,’ and they think there’s real value created by verbal hype, that’s when you know things are headed off a cliff,” Adams writes. But a few questions remain. Will Bitcoin and the other cryptos eventually reach a bottom-out valuation of zero? And if they do, how long will it take to get there? Some people still believe that cryptocurrency is the wave of the future, and that it isn’t going anywhere, despite these hiccups. Others, however, aren’t so sure. What are your thoughts? To keep up with the latest news on the movements of Bitcoin, check out BitRaped.com.